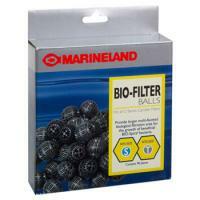 Bio-balls are designed for Marineland Canister Filters 160, 220 and 330. Fit snuggly into stack n' flow filter trays to provide optimal area for beneficial bacteria colonization. 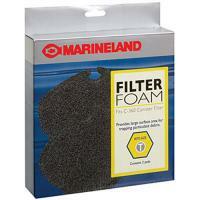 Replacement filter foam for Marineland 160 and 220 canister filters helps filter out larger particulate matter for optimal mechanical filtration. Also provides ideal area for bacteria colonization. 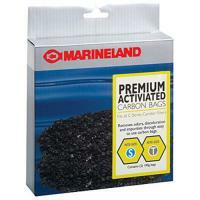 Designed specifically for Marineland Canister Filter models 160, 220 and 360. Add to stack n' flow filter trays for optimum chemical filtration. 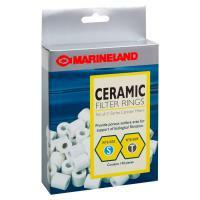 Designed especially for Marineland Canister Filters 160, 220 and 360, Ceramic Rings filter media provide ideal surface area for beneficial bacteria colonization. Replacement filter foam for the Marineland Canister 360 filter helps remove larger particulate matter for optimal mechanical filtration. Also provides ideal area for bacteria colonization. 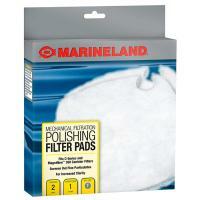 Polishing pads for Marineland Canister Filters 160 and 220 take out fine particulate matter from your aquarium's water and provide a surface for bacterial colonization. 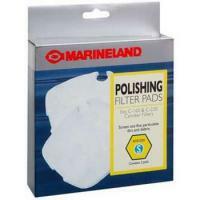 Replacement polishing pads for the Marineland Canister 360 filter take out fine particulate matter from aquarium water and provide surface area for bacterial colonization.